Posted on October 24, 2018 by ngfmarketing. 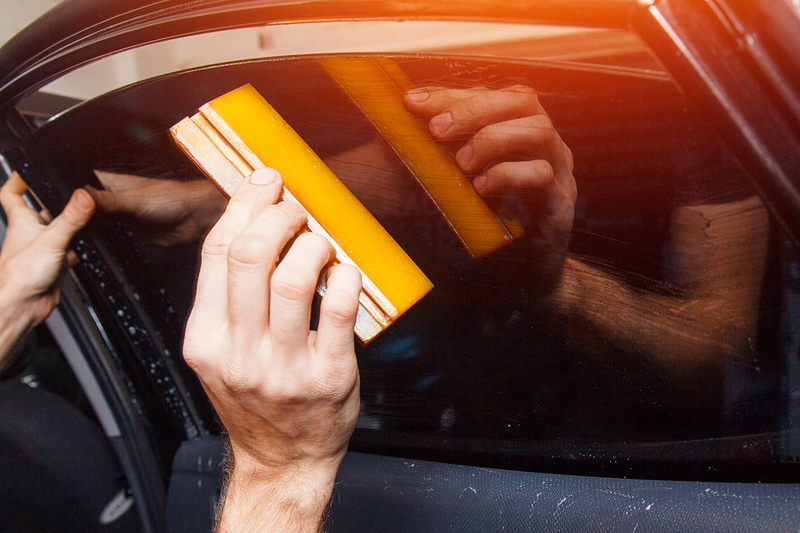 Tinting the windows of your automobile will offer countless benefits including protecting skin by blocking UV rays, cooling your car, and reducing glare. But before you take the plunge and plunk you money down, do your research. Gather quotes from multiple dealers and compare prices and the quality of the films. Consider the following things while shopping for a window tint installer. The best way to check the quality of a tint installer’s work is to stop by the shop. Ask them to show you a car that has already been tinted. Go ahead and inspect the windows. How has the window film been cut, in strips or in one single piece? One full sheet should be used to cover all of the window’s surface. Make sure the film covers the inside of the side window and sits tight along the edges. If you see spots where the film isn’t sitting flush against the window or notice any air bubbles, it is an inferior tint job. On the other hand, if the film is a bit discolored or streaky, you shouldn’t worry too much as it does take a few weeks for window film to fully dry and show up as clear. What Types of Tint Do They Carry? Top tint shops carry a variety of window film. They may carry complete lines from one or more manufacturers. These will include a variety of colors and darkness and may be dyed, hybrid, and metallic. Shops that only carry a couple types of film may have acquired them on sale, and may not be thinking of your unique requirements and concerns. A quality job will come with a limited lifetime warranty. Be sure to check the warranty length and what it covers, and any exclusions before you buy. You will also want a manufacturer’s warranty so you’re covered if your installer ever goes out of business. You will need to be sure you are in compliance with your local and state laws. Most warranties will be void if your film installation is illegal. The local installing dealer should know all current tint laws that apply to you. There are tons of companies in your area to choose from. Ensure that you have found the best professional window film installer by comparing customer service, prices, quality of products and brands, previous work, and the dealer’s overall reputation, as well as the reputation of the manufacturer or manufacturers of the window film they sell. Z-One may just be the window tint installer you are searching for. Give us a call today at 419-478-3402.